Most virtual team workers I speak to dread showing up for virtual team meetings. Many remote workers are showing up for these meetings outside of usual work hours, perhaps taking time out from family and friends to meet with other team members across the globe. When they show up for these virtual meetings, they want to know that it’s not going to be a waste of their time. When they show up and the virtual team leader isn’t prepared for the meeting, when there is no direction or structure to the meeting and outcomes are never implemented – then pretty soon you’re going to have a very demotivated virtual team. Planning and managing your virtual team meetings is absolutely imperative to your virtual team success. 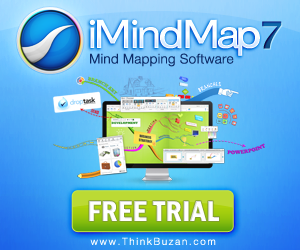 Tony Buzan, the creator of Mind Mapping shows how meetings can be managed using iMindMap to be more effective – saving time by helping team leaders reach decisions, record and implement team actions using colour and creativity. To keep your virtual team engaged and alert have your meeting agenda mapped ou t on screen. Get creative and use color coding to plan your agenda. By planning your agenda, you are giving your virtual meeting a clear focus, not only for yourself as the meeting leader, but for the attendees as well. With your agenda mapped out in front of you, it is more likely that your virtual meeting will stay on track (which can be a challenge for virtual teams meeting online from various locations all around the world). The radiant layout of a Mind Map gives you a pre-structured framework, allowing you to freely explore and capture your ideas without getting lost in the detail. There is nothing worse than showing up for a virtual meeting when the chairperson or virtual team leader is not motivated and prepared for the meeting. Remember, some of your virtual team workers may be linking in at very “ungodly” times due to timezone differences. You want all your virtual team members to want to show up for the virtual meeting, ready to contribute and ready to be engaged in the meeting. Make a Mind Map of what the meeting attendees need to prepare beforehand, and share it with them prior to the meeting. Mind Maps only include keywords, so the important ideas are conveyed and relevant associations occur instantly. During the virtual meeting, refer to the Mind Map agenda and simply build upon this to capture the minutes. This will give your meeting a solid framework you can refer to, to ensure that all points are covered. For every topic you discuss, add a branch for each action point to highlight what needs to be done to achieve the objective. Because of the radiating layout, you can keep adding details to your Mind Map without losing a coherent structure. Once you have added all of the details to your map, share it with the relevant parties to ensure that plans, decisions and actions are clearly communicated and acted upon.